Thanks for all the feedback on the change we made this week to the drill down behavior in the service. Based on that feedback we have reverted the change and you will now see the original behavior. 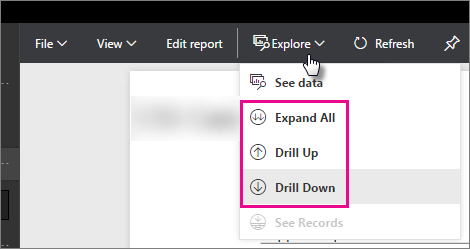 There have been a few support calls asking why the Drill Down feature is missing from report visualizations. I wanted to get this information out there to help save you the time of calling support. This feature was moved to the explore menu from within a report, in both the reading and editing view.